Andreas Gröschel studied mechanical engineering and technical communication at RWTH Aachen, completing his studies in 2002 with a thesis on process engineering. After graduating, Andreas Gröschel started his training to become a patent attorney at a Cologne law firm. In 2006, Andreas Gröschel passed the German patent bar examination and has since been an authorized representative before the European Patent Office and the European Union Intellectual Property Office. Andreas's main areas of practice is German, European and international patent law, in particular in registration and infringement proceedings in the fields of automotive, process engineering, mechanical engineering, IT, chemical engineering, medical technology and electrical engineering. He also works in trademark, design and license affairs. 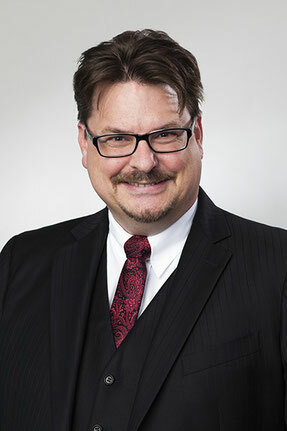 Andreas Gröschel is a member of the patent and utility model committee within the German Chamber of Patent Attorneys. He is also a member of the Association for the Protection of Intellectual Property (GRUR), the Association of Intellectual Property Experts (VPP) and the Federation of German Patent Attorneys (BDPA). "The good thing being a patent attorney is getting a clever idea come across my desk each day without me having to get my hands dirty with product development." Andreas Gröschel was born in Lima, Peru in 1973. He speaks German and English fluently and has a basic knowledge of Spanish and French. Andreas Gröschel is married and lives in Cologne. His hobbies include horse-riding, tai chi chuan, philosophy, cognitive psychology and virtual worlds.